Palestinian Membership Bid Dominates U.N. Talks : The Two-Way As President Obama and other world leaders gather in New York City for the opening of the United Nations General Assembly session, one of the hottest issues is President Mahmoud Abbas' request to make Palestine a member of the U.N.
Palestinian President Mahmoud Abbas at the U.N. on Monday (Sept. 19, 2011). As President Obama and other world leaders gather in New York City for the opening of the United Nations General Assembly session, one of the hottest issues is President Mahmoud Abbas' request to make Palestine a member of the U.N. He's making that push over "heated Israeli objections and a promised U.S. veto" in the Security Council, The Associated Press notes. The U.S. position, as NPR's Michele Kelemen reports for our Newscast desk, is that "the only path toward Palestinian statehood is through [peace] negotiations, not through the U.N."
Obama, NPR's Ari Shapiro reports, will be meeting with Turkey's prime minister later today. "The U.S. disagrees with Turkey and many other American allies about the issue" of Palestine's membership bid, Ari says. CBS News' WorldWatch blog reports this morning that the formal membership application is likely to be submitted on Friday and that "Palestinian leaders have said it is essentially too late to put the brakes on the request, but feverish negotiations continue to find a solution that would avert the spectacle of a failed bid for statehood in the Security Council." 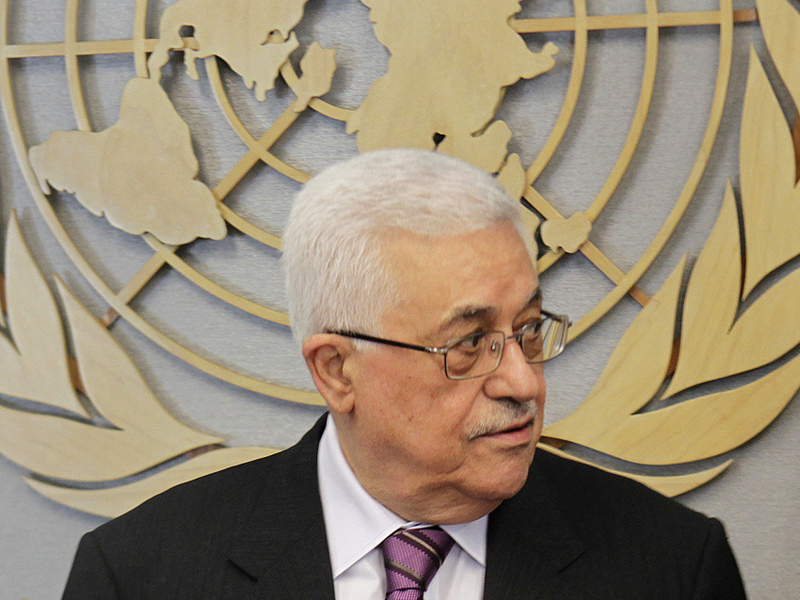 Is the U.S. position correct -- that the path to Palestinian statehood is through negotiations, not UN membership?